Well, this is fun. It has just come to my attention that there exists such a thing as bulletproof vests for children. So we live in a world where there's a need for that. So that's nice. I'm not entirely sure why I'm so surprised. After all, this is America; if there's one thing that's been made abundantly clear to us it's that keeping our guns safe is more important than keeping our kids safe. Or at least some people seem to think so. And in an effort to vote those people out of office, an organization called the Dream Defenders has launched a #VestOrVote campaign featuring fake billboard ads for children's bulletproof vests. The point, of course, is that the idea of children needing bulletproof vests is so awful that we should clearly do whatever it takes to keep that from being necessary. And yet it turns out that this dystopian future is not as far off as we had all perhaps hoped. A little research reveals that you actually can buy a bullet proof vest for your child, along with assorted other bulletproof children's items. And the whole thing is just so awful it's mind boggling. At least stuff like the bullet proof blanket only exists to be used in cases of extreme emergency, though. There is just something even more disturbing about the idea of a vest, something generally worn by people who know in advance that they are going into a potentially lethal situation. The idea that we would ever send kids into such a situation is not only wildly depressing but also terrifying. Think about it. 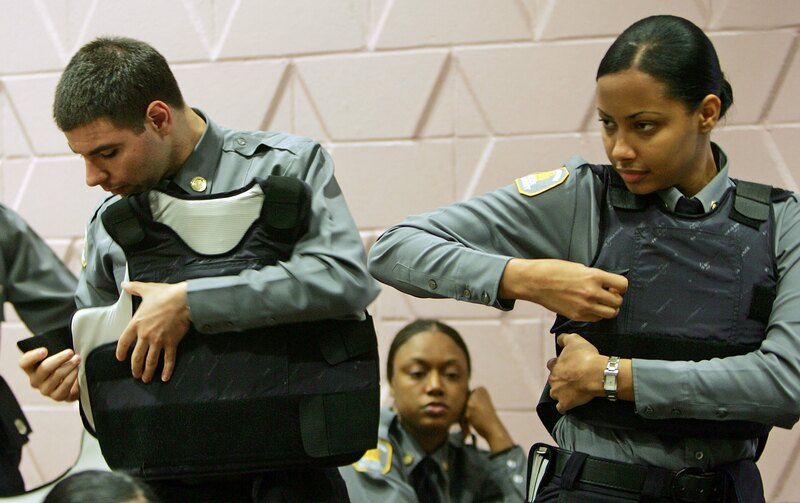 Who wears bulletproof vests? Police officers, soldiers, the occasional body guard, the president when he throws the first pitch of a baseball game. All situations in which you could reasonably expect someone to be shooting at these people. That's the purpose of a bulletproof vest. Are we living in a world in which you can reasonably expect someone to shoot at your children? So I wish all the best to the #VestOrVote campaign, for having directed my attention to this disturbing reality we are living in. With any luck, the campaign will be so successful we won't need these things anymore.